Where There’s Smoke, by John Heffernan, ISBN 9781862918665, Omibus Books. Recently my class read a book called Where There’s Smoke. This book is written by John Heffernan and shows you all the qualities you need to live a happy life. 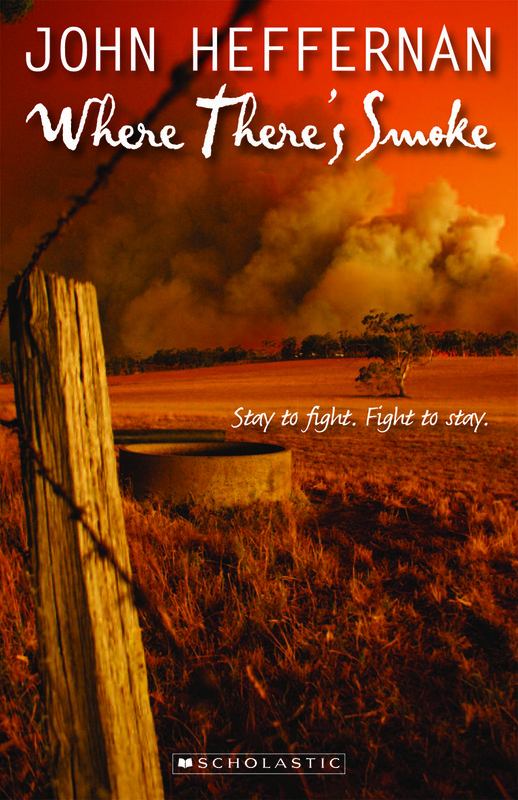 Where There’s Smoke tells the story of a family living in a small town called Edenville where they are on the run from their father and husband. Luke is a regular boy, about twelve years of age, who has a friend named Tiny who is really tall and has a heart as strong as a tiger. Tiny pretends to be Nina’s—Luke’s mum’s—boyfriend so that Nina’s ex husband doesn’t follow or hurt them. When everything seemd to be cruising around well Tiny, who is Russian, gets a bit worried about a bushfire coming. The fire came and it didn’t want to leave. Some people left and some people stayed and fought. Tiny saved a boy and got third degree burns. When everything seemed to be a disaster Luke finally got something he’d waited for, a call. This book is great and each chapter gives you a thrill of adrenalin and wants you to read more. It is emotional and very descriptive using metaphors and similes that would blow your mind. I hope to be reading more from Mr Heffernan soon. *Beaconsfield Primary School is a member of our Undercover Readers Club. A review copy of Where There’s Smoke was provided by the publisher. For the last few weeks, our class has been reading Where There’s Smoke, by John Heffernan. All or most of the class really enjoyed it. Where There’s Smoke is about a boy called Luke and his mum, Nina. They had been running away from Luke’s dad until a friend of Nina’s (Tiny Cob) told them about Edenville, the place that becomes their new, safe home. In Edenville Luke makes friends with Sarah and develops a very close friendship with Tiny Cob. But when a bushfire comes, how can Luke help the town of Edenville? The place that he now calls his home. This book was a great book that I really enjoyed. I think it made me understand things like: The house is the place that people live in, the home is the people that live in it. Where There’s Smoke also is an adventurous story as well as the type of book that helps you learn things. All together I think that Where There’s Smoke is a wonderful book for all ages, out of ten I would rate it nine and my standard is very high. I would like to read another one of John Heffernan’s books one day. Today we hear from two year 5 students at Beaconsfield Primary School in WA. We sent the class a copy of Emily Rodda’s The Forests of Silence for review. Here’s what two of the students had to say. The Forests of Silence, by Emily Rodda. ISBN 9781865046730, Scholastic Australia. 1. Reviewed by Jye, age 11, Beaconsfield Primary School. The Forests of Silence, a short novel by Emily Rodda, is a fantastic fictional tale of fantasy and is great for eight to nine-year-old readers. This story begins when prince Endon’s father, the mighty king, dies of a terrible sickness leaving a startled Endon the last surviving member of his great sovereign family and as ruler of the mighty city of Deltora. As “tradition” goes, Endon must wear the magical belt of Del upon kingship. But when his childhood friend, Jarrod, does some research on the mysterious belt, he finds that it must be worn at all times. Jarrod desperately tries to warn Endon but the evil governor, Prandine, stops him in his tracks. Upon banishment, Jarrod is forced to take refuge in the strugglingly poor city of Del. Many years later, Jarrod marries but still awaits the king’s great and famous golden arrow; a call for help. One day, finally, a glimmer in the morning sky excites Jarrod and he joyously sprints to the castle walls to find a cleverly disguised map. He quickly follows it to his old friend. But something has gone terribly wrong and all hope for Del is almost lost for the seven stones on the belt of Del have been scattered across the land to far away and dangerous places. This book is of the quest for the first gem. The quest is left to Jarrod’s son, Leif, and with an unlikely companion, he sets off to his first destination of danger; The Forests of Silence. I found this book a bit short for I like to read the two hundred pages or more novels. I also thought it was kind of kiddie and predictable for a ten year old but it was alright. I might have liked to read it on my own. It was rather short for my tastes and I think almost everyone in my class thought it was very predictable. But it was alright and it had a good storyline. I give it a five out of ten. 2. Reviewed by Erin, age 10, Beaconsfield Primary School. The Forests of Silence is about a boy named Lief who is told he has to go on a quest to find a precious gem to defeat the Shadow Lord. This is an adventure-filled novel about two young boys named Jarrod and Endon who grow up together as young boys in a palace till they are men. Endon’s dad, who is king, died and straight away Endon was crowned king. Jarrod is told to leave the palace for something he didn’t even do. About ten years later Jarrod and Endon married a lady each and later Jarrod and his wife tell their son Leif he will have to go on a dangerous quest to seek seven precious gems to defeat the Shadow Lord. The Forests of Silence is a fantastic story if you like adventure and fantasy. It is a short and easy to read. From about the age seven to ten children will love this book. I enjoyed it but it is easy to predict in some parts of the story. People will enjoy the Forests of Silence. It looks like a book for boys but I enjoyed it. I would not read the whole series because I’m not into fantasy books. I hope everyone who reads this book will like it as much as I do, maybe more. 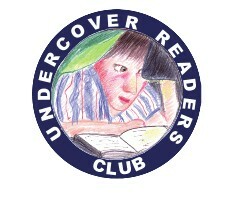 *Beaconsfield Primary is a member of our Undercover Readers Club. 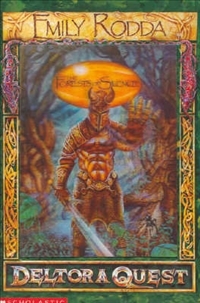 A review copy of The Forests of Silence was provided by the publisher, Scholastic Australia.